Grandidierite is a very rare mineral that was first found in southern Madagascar in the early 20th century. Since grandidierite is quite hard, high quality material has been cut as gemstones, making it one of the very rarest gems, in a class with varieties like benitoite, painite, taafeite and jeremejevite. You will often see grandidierite included in lists of the 10 rarest gems in the world. Gem quality Grandidierite is typically found in small sizes (less than 1 carat) is usually translucent rather than transparent. Transparent gems in larger sizes count as extremely rare. The Gemological Institute of America (GIA) has issued a special report on this rare transparent 1.12 ct Grandidierite. 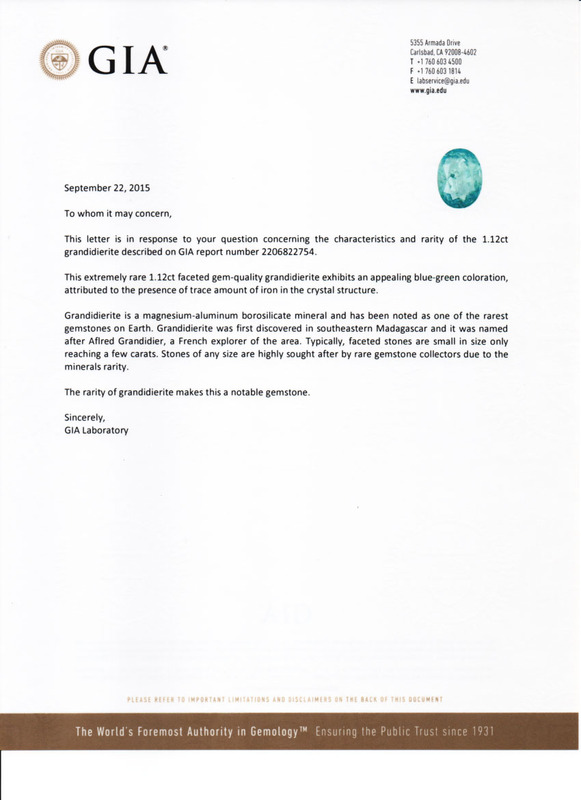 See our article on Rare Grandidierite for more information.